ONEGAGE® is a rugged lightweight accurate gaging solution that is easily transitioned between two different distinct configurations for best ergonomic performance. 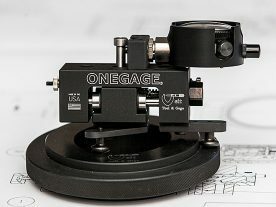 A key economic feature of ONEGAGE® is the simple cost-effective tooling which can be attached to cover a broad range of applications. Veit Tool & Gage has been delivering precision gaging and test systems to automotive manufacturers and Tier 1 suppliers for over 30 years. Our systems are designed to help you reduces scrap and warranty costs, and integrate with your existing quality systems. 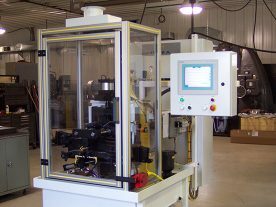 We offer manual gaging and test systems for lab use, and automated systems that integrate right into your assembly line. 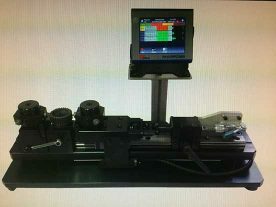 Veit Tool & Gage Dimension over ball/pin DOB/DOP gages are used typically to measure pitch diameters of gears and splines, but not limited too. designed for accuracy , durability and ease of use. With consistent upgrades as technology advances. 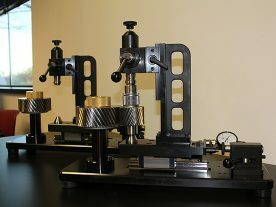 They are very versatile in their ability to accurately measure a variety of part features. Our units have been utilized in the manufacturing industry for 30 years. From our simple economical 2-anvil single tool unit with indicator, to our “dual” 3- station turret head design unit with optional part elevator platen, or custom design unit to fit your specific application. The Veit Tool & Gage semi-automatic and full automatic gear burnishing system is a three-roll, oscillating type machine. The proven burnishing method has been utilized in many automotive and other powertrain manufacturing facilities for 3 decades. These machines and their unique process remove nicks, burrs, heat treat scale and other foreign matter from the gear tooth flanks.